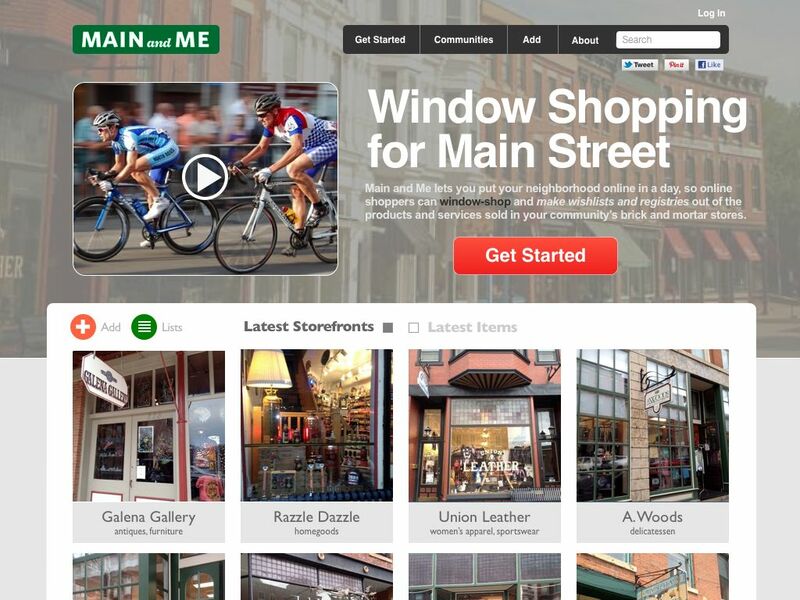 Main and Me is the free, user-generated social shopping network where National Mainstreet.Orgs and downtown merchant associations come to “put their downtowns online.” That way they can offer online windowshopping and wish-listing of their downtown historic shopping district, and begin to turn the tide in the competition with Amazon and Big Internet Retail. If you’d like to read more, start here with Top 10 Reasons Why Main and Me supports local better than Pinterest. See you at the holidays!